If you are developing open source applications or you are expecting a nice graphical user interface for your web applications, free icons released under GPL are very useful for you. Full circle magazine - issue 2 have been officially released today (June 29, 2007). - How-To : Install Ubuntu on Intel Mac Mini, Virtual Private Networking, Learning Scribus part 2 and Ubuntu for your Grandma! - Letters, Q&A, MyDesktop, MyPC, Top5 and more! You can download directly from Full circle magazine today. It is useful to have a free magazine for a free operating system. Full circle magazine - issue 2 have not yet officially released on the site. 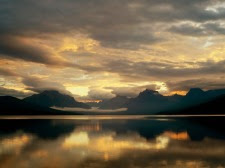 The projected release date is Friday 29, June 2007 but currently it is complete and available for downloading. Hopefully, this is useful for Ubuntu Linux fans on the world wide. What is your Linux commands in the top 10? 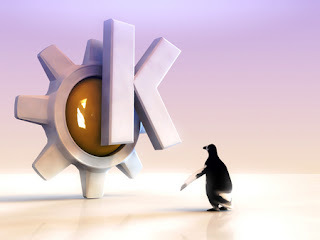 All the big film studios primarily use Linux for animation and visual effects. 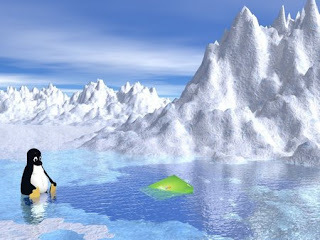 Perhaps no commercial Linux installation is larger than DreamWorks Animation, with more than 1,000 Linux desktops and more than 3,000 server CPUs. “For Shrek 3, we will consume close to 20 million CPU render hours for the making of the film”, says DreamWorks Animation CTO Ed Leonard. “Each of our films continues to push the edge of what's possible, requiring more and more compute power.” Everyone knows Moore's Law predicts that compute power will double every one and a half years. A little known corollary is that feature cartoon animation CPU render hours will double every three years. 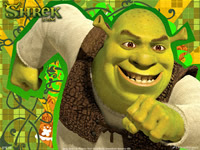 In 2001, the original Shrek movie used about 5 million CPU render hours. In 2004, Shrek 2 used more than 10 million CPU render hours. And in 2007, Shrek 3 is using 20 million CPU render hours. You can read more at the July 2007 Issue of Linux Journal. Click here to download free buddy icons, wallpapers, printables, screensavers, or ecards. 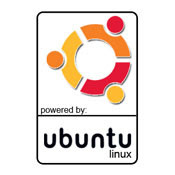 Join to UbuntuLive today to learn listen, discuss, and learn Ubuntu in action. Many different topics are presented on July 22-24, 2007 in Portland, Oregon. 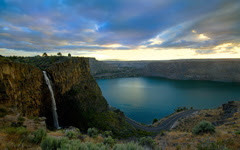 You can download thousands free wallpapers including Ubuntu, KDE, Gnome, .. Most of pictures have high resolution. 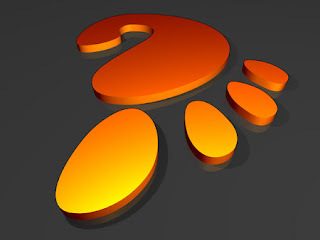 If you have any questions about running Ubuntu Linux on a Dell System? Thinking about purchasing a Dell System with Ubuntu Linux? Join the Discussion with John Hull, Manager of Dell's Linux Technologies and Ben Collins, Canonical's Ubuntu Kernel Developer. 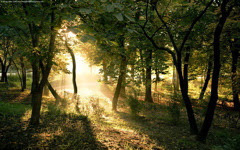 &amp;amp;amp;amp;amp;amp;amp;amp;amp;amp;amp;amp;lt;br&amp;amp;amp;amp;amp;amp;amp;amp;gt; Most of my readers like small tips which are not difficult to carry out but must be useful. That is the reason why VnTutor usually provides simple posts such as tweak performance, howto, .. 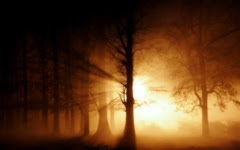 This post is very useful for Ubuntu Linux users who like using commands. As you know, it is very simple to take a screenshot of the entire screen by hitting button Print Screen. Besides, to capture part of screen and save it as an image file we can use Ksnapshot in KDE or Take screenshot in Gnome. But if you are standing in a terminal and you want send a part of the current screen to an image editor like GIMP to compose, how can you do that by using a simple command like cap? And this is what I have done. &amp;amp;amp;amp;amp;amp;lt;br&amp;amp;amp;amp;gt; Try a funny game from Linux Journal. You see and match the search terms on the left with the top search query location on the right. The results obtained form Google Trends over a period of time that runs from the end of 2003 to the present will surprise you because this tells you "Where Wants What". 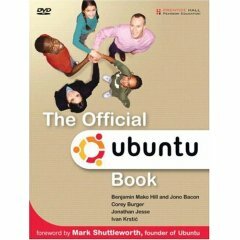 Today, I would like to share with everyone free Ubuntu Linux books which I have found on the Net some days ago. Everyone’s talking about Ubuntu—it’s not just 100% free, it’s the most useful, practical desktop Linux ever! Now, Linux expert Marcel Gagné reveals Ubuntu’s amazing power and helps you migrate from Windows faster than you ever thought possible. 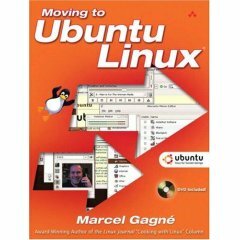 Moving to Ubuntu Linux will teach you how to do virtually anything with Ubuntu—write documents, create spreadsheets, surf the Web, use email, listen to music, watch movies, and play games. Description: Ubuntu is a complete, free operating system that emphasizes community, support, and ease of use while refusing to compromise on speed, power, and flexibility. It’s Linux for human beings–designed for everyone from computer novices to experts. Ubuntu is the most in-demand Linux distribution, and this official guide will get you up and running quickly. Learn how to seamlessly install and customize Ubuntu for your home or small businesses. Its open source power can be used in schools, government, or by corporations, and is suitable for both desktop and server use. The Ubuntu community is built on the premise that software should be available free of charge, and that people should have the freedom to customize and alter their software in whatever way they see fit. Description: Incorporating an advanced approach to presenting information about Ubuntu, Ubuntu Unleashed aims to provide the best and latest information that intermediate to advanced Linux users need to know about installation, configuration, system administration, server operations, and security. Written by renowned open source authors, Paul and Andrew Hudson, it includes detailed information on hot topics in Ubuntu Linux, such as wireless networks, and programming in PHP, Perl and others. It thoroughly covers all of Ubuntu's software packages, including up-to-date material on new applications, Web development, peripherals, and programming languages. 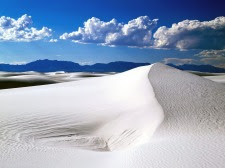 It also includes updated discussion of the architecture of the Linux kernel 2.6, USB, KDE, GNOME, Broadband access issues, routing, gateways, firewalls, disk tuning, GCC, Perl, Python, printing services (CUPS), and security. The included DVD comes with a complete Ubuntu Linux distribution. Description: The Ubuntu distribution simplifies Linux by providing a sensible collection of applications, an easy-to-use package manager, and lots of fine-tuning, which make it possibly the best Linux for desktops and laptops. Readers of both Linux Journal and TUX Magazine confirmed this by voting Ubuntu as the best Linux distribution in each publication's 2005 Readers Choice Awards. None of that simplification, however, makes Ubuntu any less fun if you're a hacker or a power user. 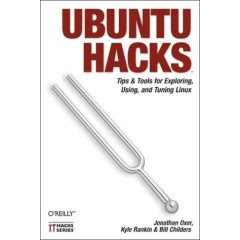 Like all books in the "Hacks" series, Ubuntu Hacks includes 100 quick tips and tricks for all users of all technical levels. Beginners will appreciate the installation advice and tips on getting the most out of the free applications packaged with Ubuntu, while intermediate and advanced readers will learn the ins-and-outs of power management, wireless roaming, 3D video acceleration, server configuration, and much more. Dell's Linux 101: What's All The Fuss? This video tells you why users like Ubuntu Linux. System76 offers free Ubuntu stickers. To get them, please send a self-addressed stamped envelope to one of the following addresses. It depends on where you are. Thanks to the Ubuntu Argentina Team! Thanks to the Ubuntu Australia Team! Thanks to the Ubuntu Belgium Team! Thanks to the Bolivian Ubuntu LoCo Team! Thanks to the Ubuntu Brazil Team! Thanks to the Ubuntu Canada Team! Thanks to the Ubuntu Chile Team! Thanks to the Colombian Ubuntu Team! Thanks to the French Ubuntu Team! Thanks to the German Ubuntu Team! Thanks to the Hungarian Ubuntu Team! Thanks to the Italian Ubuntu LoCo Team! Thanks to the Mexican Ubuntu LoCo Team! Thanks to the Dutch Ubuntu Team! Thanks to the New Zealand Ubuntu Team! Thanks to the Norwegian Ubuntu Team! Thanks to the Peruvian Ubuntu Team! Thanks to the Serbian Ubuntu Team! Thanks to the Swiss Ubuntu Team! Thanks to the Turkish Ubuntu Team! Thanks to the United Kingdom Ubuntu Team! Thanks to the Venezuelan Ubuntu Team! 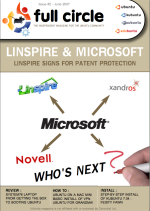 You are looking for a diagram creation program like Microsoft Visio but free of charge. 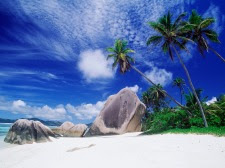 Dia released under the GPL license can meet your requirement. 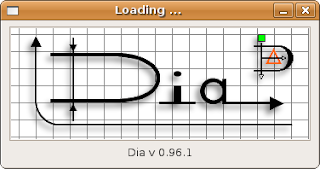 Dia is an editor for diagrams, graphs, charts ... There is support for UML static structure diagrams (class diagrams), Entity-Relationship diagrams, network diagrams and much more. Diagrams can be exported to postscript and many other formats. It is available to install in Ubuntu Linux via apt. Currently, I'm using this tool to create ER diagrams. It provides a nice, easy-to-use interface with many various functions. 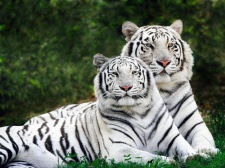 You can read more from Internet to know how to use this free package. Now that you know how to move from a working directory to another or to move around the filesystem of your Ubuntu Linux by using cd command. Today, we are going to learn how to list information about files and directories. To do this, we will learn a new command named ls which stands for list. This is the basic "ls" command, with no options. It provides a very basic listing of the files in your current working directory. Filenames beginning with a decimal are considered hidden files, and they are not shown. The -a option tells the ls command to report information about all files, including hidden files. The -l option tells the ls command to provide a long listing of information about the files and directories it reports. The long listing will provide important information about file permissions, user and group ownership, file size, and creation date. This command provides a long listing of information about all files in the current directory. It combines the functionality of the -a and -l options. This is probably the most used version of the ls command. This command lists long information about all files in the /usr directory. Rather than list the files contained in the /usr directory, this command lists information about the /usr directory itself (without generating a listing of the contents of /usr). This is very useful when you want to check the permissions of the directory, and not the files the directory contains. Last command shows you how to print the working directory. Today, I will show you how to change from your working directory to another one. To do this, enter cd (stand for change directory) followed by the pathname of the desired working directory. Pathnames can be specified in one of two different ways; absolute pathnames or relative pathnames. This command moves you to the "/usr" directory and this directory becomes your current working directory. Moves you to the /home/vntutor directory. Issuing the cd command without any arguments moves you to your home directory. Now, clear the terminal screen by using clear command, and this is the result. Go back to read more please! An introduction to virtual machines in last post presented some basic terms such as virtualization, virtual machines, virtual hardwares. The function of VMware player was also touched upon. 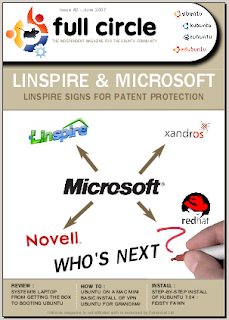 Today, we start to install this free application on our Windows machines. Click "Finish" to complete your installation successfully. I will tell you how to run an appliance in VMware Player in next part. 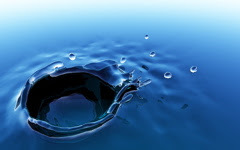 Virtualization is an abstraction layer that decouples the physical hardware from the operating system to deliver greater IT resource utilization and flexibility. This term is divided into two main parts to be named platform virtualization and resource virtualization. Here, we will talk about the first one which involves simulation of virtual machines. As a real machine, a virtual machine has its own set of virtual hardware (e.g., RAM, CPU, NIC, etc.) upon which an operating system and applications are loaded. Virtual machines are encapsulated into files, making it possible to rapidly save, copy and provision a virtual machine. VMware is known as one of global leaders in virtual infrastructure software for industry-standard systems. With VMware Player application, you can run any virtual machine created by VMware Server or VMware Workstation which was released in version 6.0 some days ago. Nowadays, a lot of software applications packaged along within an operating system with virtual machines called VMware appliances which are available at the VMware Virtual Appliance Marketplace, an official online library of virtual appliances. This technology has opened a new approach in software engineering. We have been using this technology to try our applications as well as deliver them to our clients who need to see a demonstration of the application quickly without install any additional packages. I will write more details about this technology in next posts, so please go back to read it. Ubuntu provides a very clean and simple look desktop without any icons. This post will present how to add some icons such as My Computer, User's Home, .. 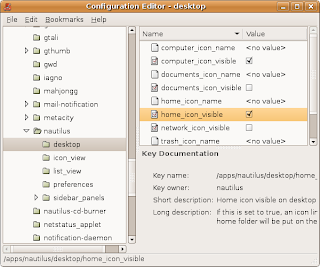 Select "apps" from the left pane; then select "nautilus" and "desktop." In the right pane, you can choose any icons which will be seen on the desktop. 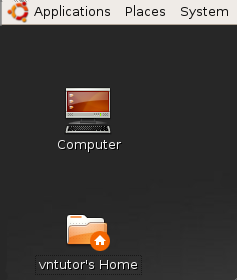 For example, I want show icons for my computer and home directory, so I have checked on onptions like the following picture. And this is the result on my desktop.